The Coquettes, Flirts of the First Empire 1804–1814. Home » The Coquettes, Flirts of the First Empire 1804–1814. The Coquettes, Flirts of the First Empire. 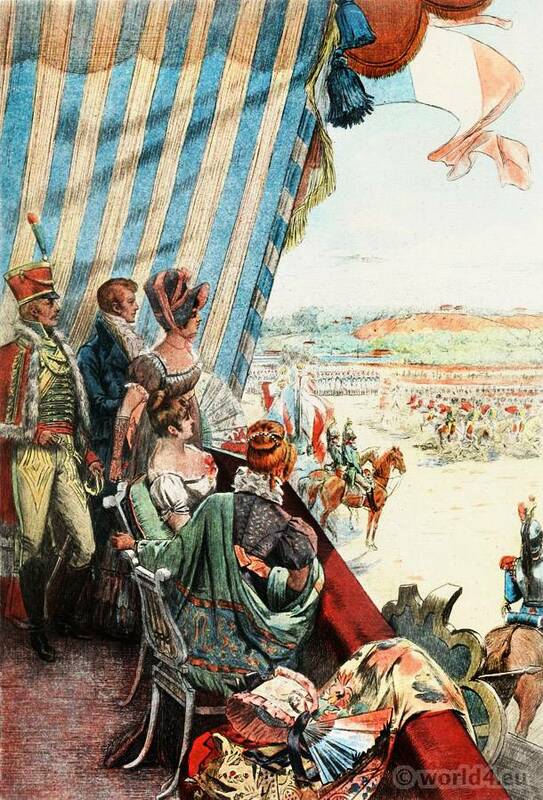 The Coquettes, Flirts of the First Empire 1804–1814 (Napoleonic Empire). Les Coquettes du Premier Empire. Les Modes sous la Restauration. From the Book: The Frenchwoman of the century; Fashions – Manners – Usages, by Octave Uzanne. Illustrations in water colours by Albert Lynch. Engraved in colours by Eugène Gaujean. This entry was posted in 1804, 1814, 19th Century, First Empire, France, Georgian period, Regency period and tagged First Empire Style, Octave Uzanne, Regency period on 8/10/14 by world4.